There’s something powerful about “going out” into the backcountry, be it for an hour on a day hike, or for a few overnight camping trips or even more. Going out means setting aside modern life for a while. It means taking a journey that requires you to rely on yourself and your companions, to live simply, to be active outside in whatever weather shows up. The wilderness challenges us to be prepared, to learn the ways of the environment around us, and to carry just enough gear to be safe and comfortable, but no more. The rewards are tremendous. There’s nothing like getting up early to hike to the top of a mountain and savor well-earned views of the world below. Or to sit beside a pristine lake after a hard day of canoe travel and portage (hauling your boat and gear over dry land trails between waterways). The night skies are nothing like those you’ll see in a city. You’ll find your spirit renewed, and you’ll enjoy the rich camaraderie of shared adventure with friends. Pack for your environment when you go into the backcountry. There are whole books written on backpacking and backcountry travel, but here are some fundamentals to get you started. 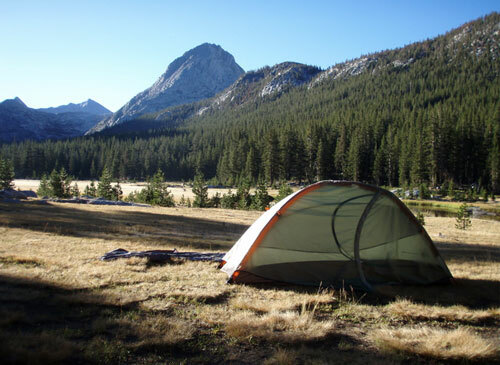 What do you need to take on your camping trips? You’ll need the basics to eat, sleep and travel. Let’s begin with eating. In colder weather, hot drinks such as cocoa, tea, and instant soups warm the body and the spirit. Breakfasts might include granola or oatmeal, with some dried fruit or nuts added. A good strategy for evening meals is to keep it simple at first, and become adventurous as you get some experience cooking on a small one-burner stove. Dinners can be as simple as adding water to a freeze-dried meal or instant soup from the grocery store, to creating yummy concoctions made with pasta and veggies, or macaroni and cheese. 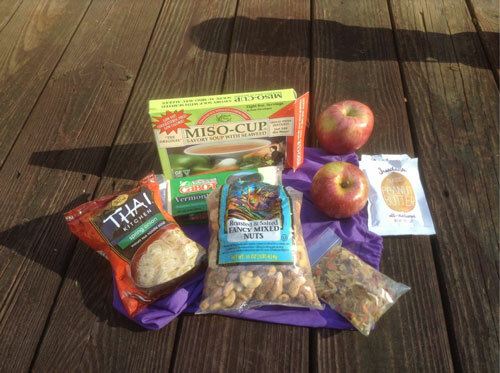 You’ll find that simple foods can taste delicious on the trail, after a hard day of paddling, climbing or backpacking. 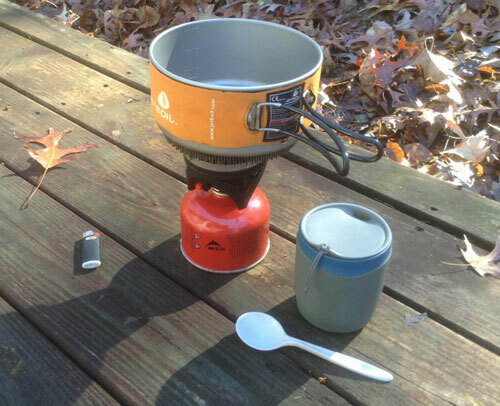 There are many ways to prepare food in the wilderness, and many lightweight stoves to make it easy. Some stoves require white gas, which is highly flammable and requires re-fillable metal bottles. Other stoves use cans of pressurized gas. This is a very convenient fuel, but a bit heavier packaging to tote around. Once the canisters are empty, you still have to carry them. Still other stoves use a type of alcohol. If you decide to buy a stove, ask someone at your outfitter store to show you the different types and to help you decide which might be best for you on your planned camping trips. A whole range of stove options are available for backcountry camping. Cooking over a wood fire is appropriate if there is not a high danger of forest fire (which usually result in burn bans), or if you aren’t in a high-use area, where wood is scarce. It’s also good to have water nearby, to put out the fire when you’re done. There is an art to cooking over a fire, and it takes practice. Always tend a stove or fire; never walk away and leave it unattended. And be sure the fire is out cold before you go to bed or move on from your site. Now let’s turn our focus to the next priority, shelter. Use a tent, tarp or parts of the environment for shelter. 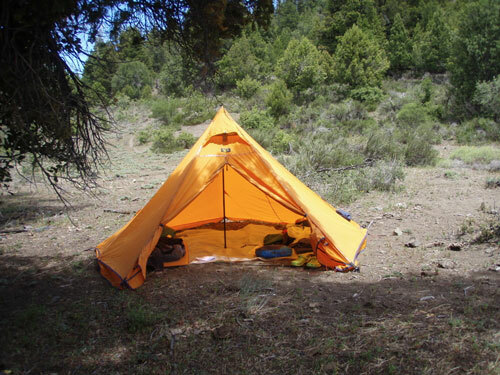 Whatever shelter you choose, practice setting it up before you go into the backcountry. You’ll want to be sure all the parts are there for the tent, or that you know a few knots to set up a tarp. Of course, you’ll want a sleeping bag to put under your shelter. Purchase or borrow one that is synthetic, not cotton. When cotton gets wet, it is much heavier, and doesn’t keep you warm, while synthetic materials do. Place a plastic cloth under your sleeping bag (if you’re using a tarp), and a lightweight sleeping pad, and you’ll sleep well at the end of the day. Along with eating and sleeping, you’ll need to figure out how to get to where you want to go. Be sure you have more than a GPS to guide you. In the backcountry, you may be reading maps to find your way on a lake or river, to go in the right direction in a whiteout on a mountain, or to decide which trail to take if you are backpacking. Pick up a book on map and compass skills and practice orienteering or take a class offered by a local outfitter. If your GPS fails, you’ll be very happy you invested some time in figuring out the age-old navigation device: a compass. Know how to navigate when you go on hiking trips. Navigation is an essential skill taught on Outward Bound courses. Whatever the course environment, you’ll be using a map and compass to figure out where you are and where you want to go. Knowledge and skills are just as important as gear in the backcountry. To be safe and comfortable, you’ll need to practice some basics. You can learn them on any Outward Bound course. Instructors teach backcountry basics, and students have the chance to practice them throughout a course. You can also learn them gradually, by doing short trips close to home, and asking questions at your local outdoor outfitter. Books can be helpful, too, but they are no substitute for experience. The following skills will help you to travel safely, and enjoy your experience. Master them before you go out on your own into the wilderness. 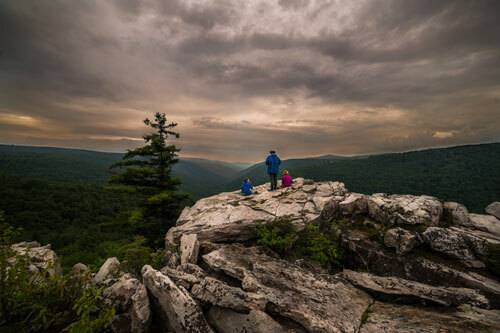 Whether you’ll be hiking the Appalachian Trail or climbing a Fourteener in the Rockies, you should know the environment you’re traveling in, and its inherent hazards. These may come in the form of terrain, weather or critters. If you’re in canyon country of Utah, you’ll need to understand what to do in the case of a flash flood, how to prevent heat injuries, what to carry for cold nights, and how to avoid snakes and scorpions. If you’re in the Rockies, the Sierra, Alaska, or Maine, the conditions will be different. You may need to learn about snow travel, altitude sickness and its prevention, what to do in a thunder storm. If you’ll be canoeing in the north country, find out what the weather will be during the time of year you’ll be there. Will you be dealing with heavy mud on portages? Moose? Bear? Travel in black bear country means understanding bears and how to keep your food away from them. Black bears are common in many wilderness areas. 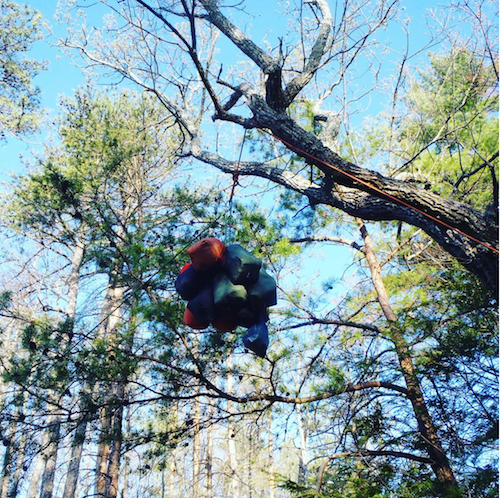 Learn how to hang food or carry a bear-proof canister. Cook away from your sleeping space and try to keep “smellables” to a minimum. Be sure all aromatic items as well as food are hung out of reach before you turn in for the night. Bear bags are hung high to prevent hungry wild visitors. Read up on the terrain you’ll be entering. Learn how to navigate it, with a map and compass. If you’ve never used a map and compass, find a local outfitter, and see if they offer classes. Hands on experience is essential, and this is an important skill for the backcountry. A GPS is fine, but you should know what to do if it isn’t working. The backcountry isn’t always kind to electronics. If you are traveling on your own, consider learning basic first aid before you go. Wilderness First Aid classes take place around the country and will help you know what to do if something happens, and even better, how to prevent accidents from happening. If someone gets cut with their pocket knife cutting cheese, what do you do? If your hiking buddy spills boiling water on skin, it could end up as a serious burn. What do you do, and just as importantly, how do you prevent these things from happening? 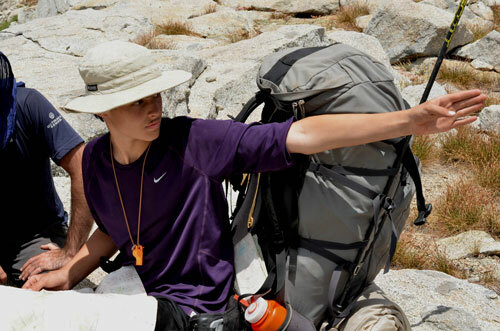 A Wilderness First Aid course will help you and your expedition partners know what to avoid, and how to treat potential injuries, in order to have a safe trip. If you sign up for an Outward Bound course, you can be sure that your Instructors know the course area well. Their number one concern is for the group’s safety. You’ll learn what the hazards are, how to avoid them, and basic first aid and prevention. Going with a group under the guidance of an experienced leader also gives you the chance to pick up many “tricks of the trade” your Instructors have gathered from many journeys into the wilderness. Instructors will teach you different ways to safely cross a stream, or build a camp fire. They can teach you how to build a shelter from snow, or improvise first aid needs like building a litter to carry someone with an injury. 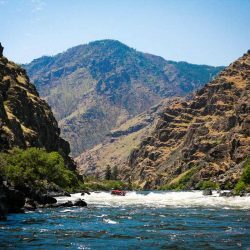 As more of us get out into the wilderness, we are having a tremendous impact — on trails, on fragile sub-alpine environments, streams and rivers, forests, campsites, and more. 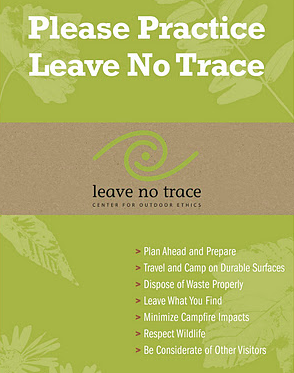 It’s essential to leave as tiny an impact as possible on the natural environment during any hiking or camping trips. The adage, “take only pictures and leave only footprints” captures the spirit of Leave No Trace. Take a moment to think about it: How can you minimize your impact while you are outdoors? Carry out everything you take in, including food particles that attract insects and wildlife, trash, orange peels, everything. Leave your lunch spot or campsite free of any sign that you were there so that the next person can enjoy it, and nothing will affect the locals — the critters which live there every day. Keep water sources clean by scouring pots well away from water. Carry water away from the stream and do your scrubbing there. The same is true for bathing: carry water 100 yard away from the stream, so that any soap will be filtered by soil. Don’t get in streams with sunscreen and bug spray on your skin; rinse or scrub those chemicals off first, away from the water, before going in for a dip. Bury human waste. Carry a lightweight plastic trowel so that you can dig a small deep hole to bury your waste 8” deep or more. In some natural environments, buried waste will be broken down by the soil’s microorganisms. There are exceptions, such as dry desert environments. Alternative options may be employed there, and you should research protocol to know how to deal with your human waste. If you build a fire, either use an established fire ring, or learn how to build a fire that leaves no impact when you’re done. Use only dead and down wood, and keep your fire small. When you leave, no one should be able to tell that there was recently a fire in that spot! It may seem like there is a lot to learn, to go to the backcountry; that’s because there is! Start with small steps, perhaps a few overnight camping trips at a state park near home or in your back yard, to get used to your gear and to learn what you need and don’t need to take. Then go a little farther. You’ll learn lessons each time you go, about navigation and packing your pack and cooking on your stove. Remember to stop and smell the roses while you’re out there! You’ve worked hard to prepare for the journey, so take time to reap the benefits of hiking or camping trips in the wild. Inhale the aroma of pine forest and the freshness of rain. Listen to the gentle babbling of a brook, or the sound of the wind in the trees. Stay up late into the night to savor the night sky and learn a star constellation or two. The wilderness has much to offer, if we slow down and soak it in. It will nourish your spirit, and send you home with a sense of satisfaction. And just maybe an idea for your next trip out. Registration for 2017 Outward Bound courses is open! 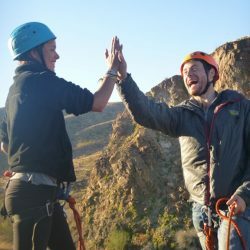 Go HERE or call 866.467.7651 to sign up for an expedition before your favorite adventure passes you by. CJ Wilson is a former Outward Bound Instructor who escapes to the backcountry regularly. She writes from her base camp in Asheville, NC. Nice overview for those just getting their feet wet & learning. Thanks! Informative website. 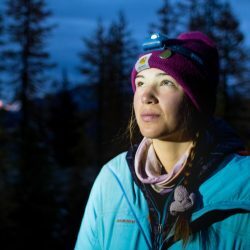 Was wondering if you could recommend some beginner books for backcountry? Thanks! 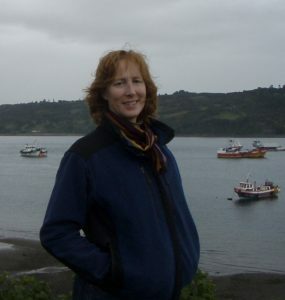 We can also follow up with the author of this post and will let you know if she recommends any others. Thanks for being part of our online community!